JDP supply a range of workfloor and pallet solutions for spill containment to ensure that commercial and industrial properties comply with the Control of Pollution (Oil Storage) Regulations and site Health and Safety Regulations. 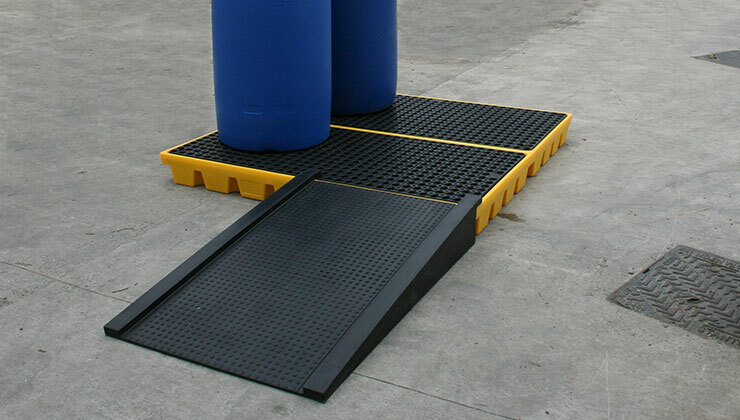 These products are used underneath storage drums in workshops, industrial sites, factories, hospitals and marinas to collect any spills while drums are in use. Withstands constant use as a raised floor area. Link blocks available to create customised work areas. Suitable for storage of drums up to 210 litres. Removable desk for easy cleaning.